Positive Feedback - Happy New Year sa inyong lahat! Positive Feedback - Merry Christmas and Happy New Year mybenta. Thank you for a wonderful 2018. Hoping for the best in 2019. More power and God bless to all! 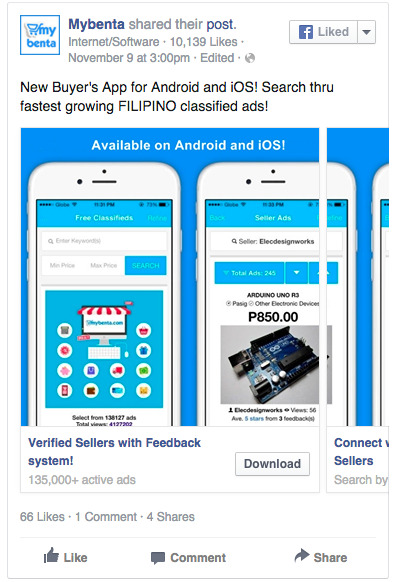 Positive Feedback - thank you MyBenta.. free ads :) more transaction and clients.. Positive Feedback - I'm happy with this website!! It is somewhat helping our little business ??? ?